DAYTONA, Fla., July 2, 2017 – Ricky Stenhouse Jr., driver of the No. 17 Roush Fenway Racing Ford Fusion won his first Monster Energy NASCAR Cup Series Coke Zero 400 at Daytona and second race of the season. 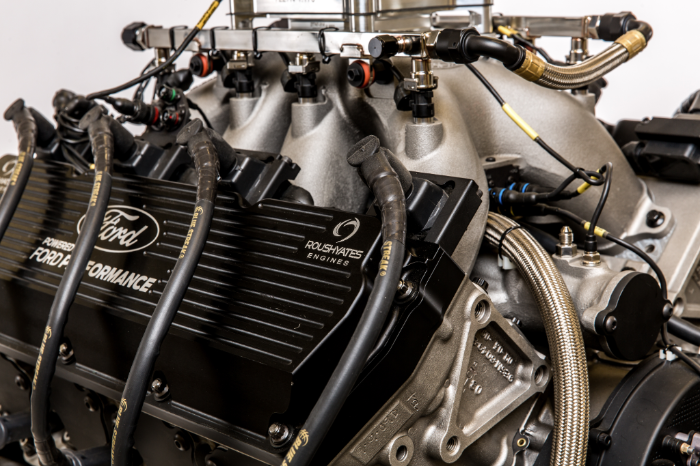 The legendary horsepower of the Ford FR9 EFI V8 engine by Ford Performance and Roush Yates Engines, powered the No. 17 to victory lane. This was the 6th consecutive restrictor plate race win for Ford Performance and Roush Yates Engines. Team Ford dominated the 400-mile Coke Zero 400 overtime event, leading 78 out of 163 laps. Roush Yates Engines and Ford Performance have demonstrated power, performance, and reliability by sweeping 2017 restrictor-plate races. This horsepower of a partnership has won 15 of the last 27 MENCS events between Daytona International Speedway and Talladega Superspeedway. 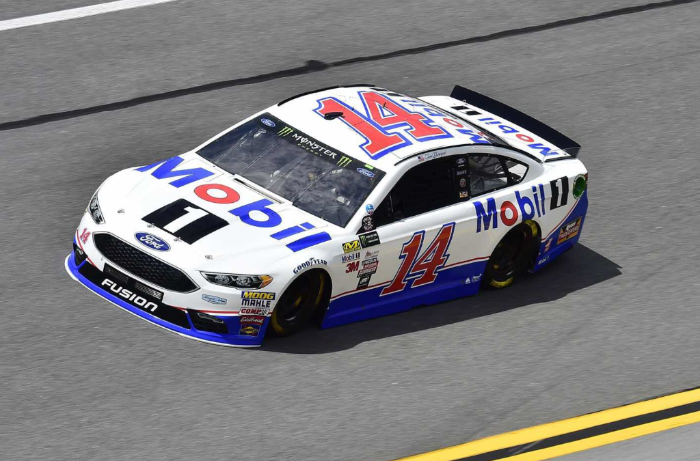 After a night of aggressive racing and reaching speeds of over 195 mph the Ford FR9 engine performed perfectly to power the Ford Fusions to a 1-2 sweep for the second week in a row with Clint Bowyer, finishing second at both events. 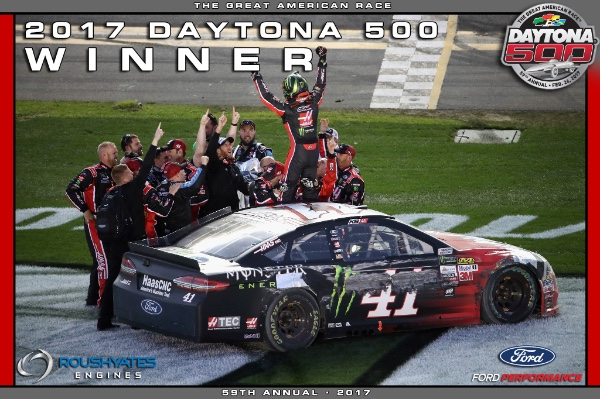 This win made a clean sweep of the 2017 Daytona events for Ford Performance, with the landmark Daytona 500 win by Kurt Busch of Stewart-Haas Racing in February. In Watkins Glen, NY – The No. 59 Ford Mustang GT, KohR Motorsports’ won their second IMSA Continental Tire SportsCar Challenge in the Continental 120 at Watkins Glen International and marked Roush Yates Engines’ milestone 300th overall race win since 2004. 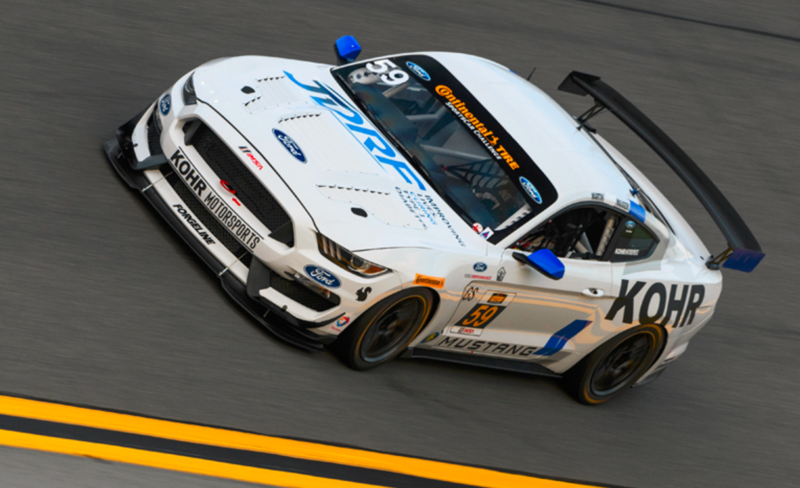 The race finished in dramatic fashion as Martin and Jack Roush Jr. leveraged the horsepower, performance and reliability of the Ford Mustang 5.2L V8 to bring home the second win of the season for KohR Motorsports’ in a last lap dash to the checkered flag. NASCAR moves onto Kentucky. All three NASCAR series will be back in action. 13 CHAMPIONSHIPS – 301 WINS – 268 POLES! 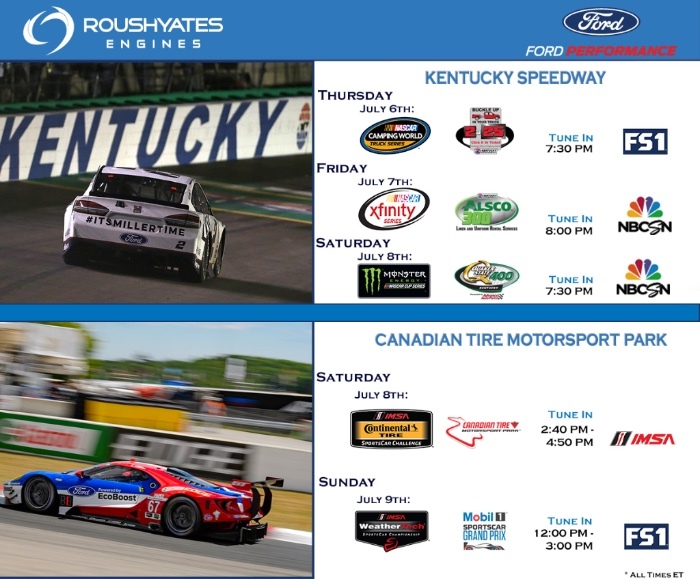 MOORESVILLE, N.C., July 6th, 2017 – The 2017 race season has started out strong for Ford Performance and Roush Yates Engines. In their 14th year as partners, collaborating on the development of championship caliber race engines, this dynamic partnership has won 18 races and 17 poles across the NASCAR and road racing programs since the start of 2017. This impressive beginning to the year has been due to the success of 12 different drivers and eight different Ford Performance organizations, across all six series. 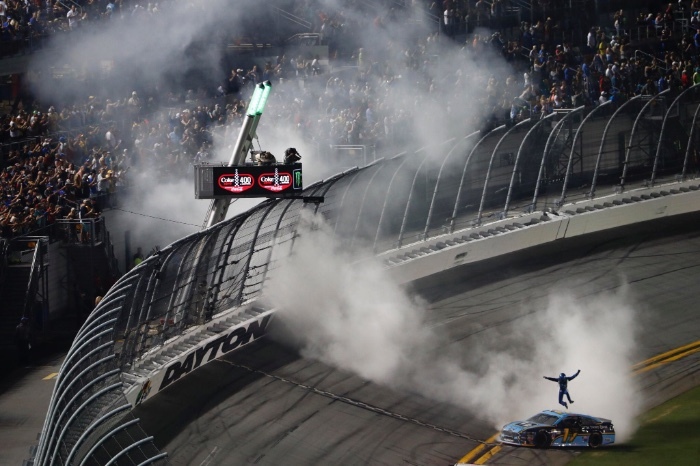 The racing season kicked off red hot in Daytona Beach, Florida, where five out of the six series started their seasons. 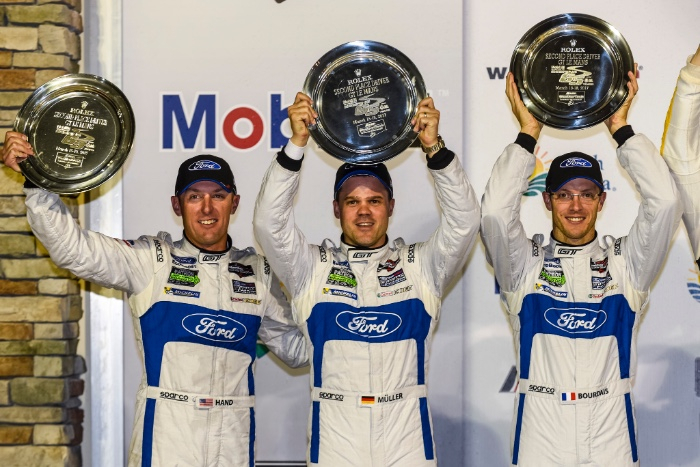 Ford Performance proved they were on a MISSION to win from the season-opener, capturing three out of the five wins at Daytona International Speedway. 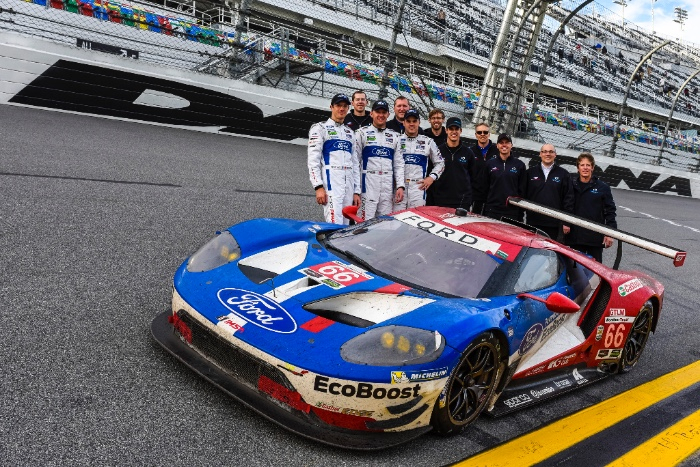 In the IMSA season-opener, Ford Chip Ganassi Racing reunited the four Ford GT teams to run in the Rolex 24 At Daytona. 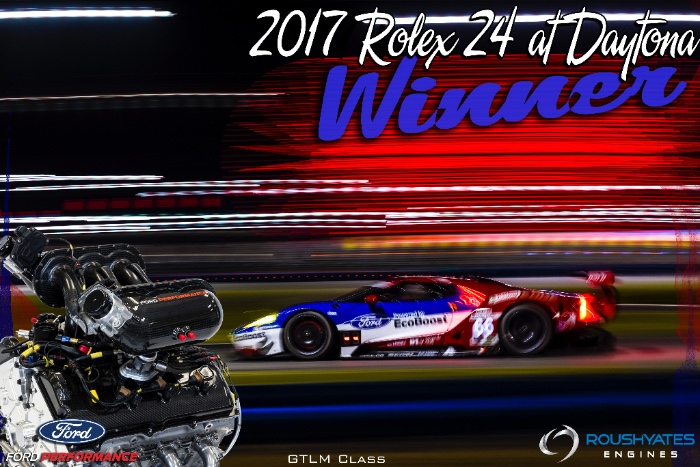 Building on the 2016 24 Hours of Le Mans victory, the Ford GTs did not disappoint the fans, taking the pole and the checkered flag in the first IMSA WeatherTech Sportscar Championship endurance race of the 2017 season. The No. 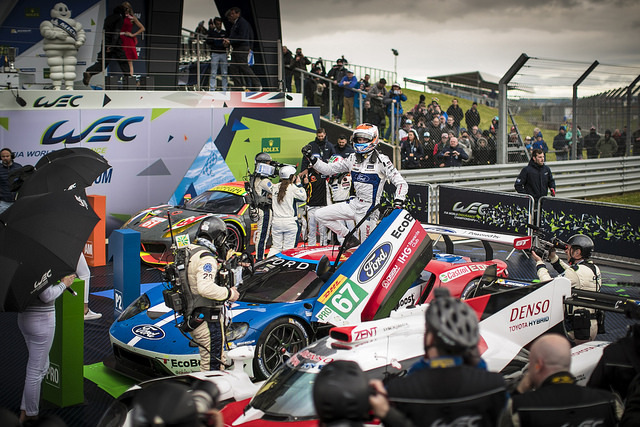 66 team of Joey Hand, Dirk Müller and Sébastien Bourdais mirrored their 2016 Le Mans victory to win consecutive 24-hour endurance poles and races within a span of six months. In the inaugural IMSA Continental Tire SportsCar Challenge (CTSC) race for the Ford Mustang GT4, the No. 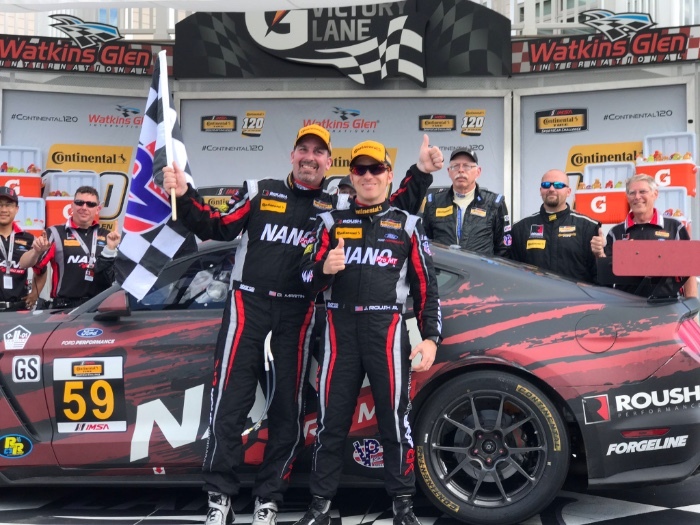 59 of Dean Martin and Cameron Maugeri from KohR Motorsports, made history by capturing the pole position at Daytona and recording the Mustang’s first Grand Sport (GS) pole victory. NASCAR shifted into high gear in February, during Daytona Speedweeks and so did the 27 Ford Performance teams, including new comer Stewart-Haas Racing. 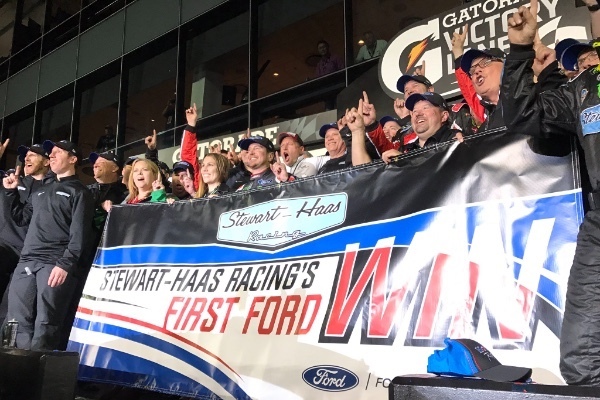 Stewart-Haas Racing is a title-winning NASCAR team co-owned by three-time Monster Energy NASCAR Cup Series (MENCS) champion Tony Stewart and Gene Haas, founder of Haas Automation – the largest CNC machine tool builder in North America. The No. 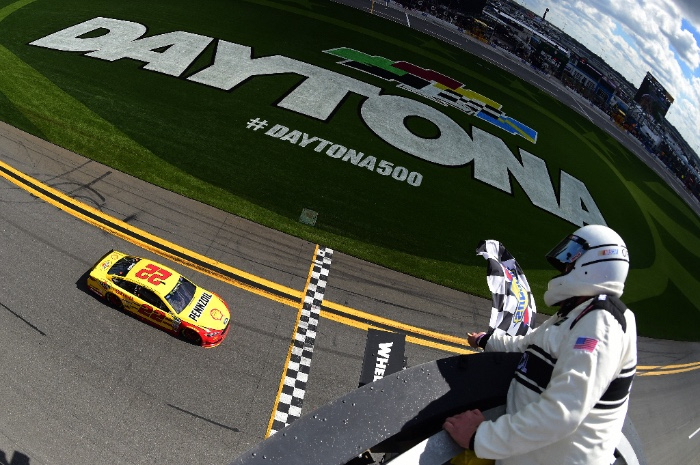 22, Joey Logano of Team Penske found himself in the right place at the right time to win the Clash at Daytona International Speedway. 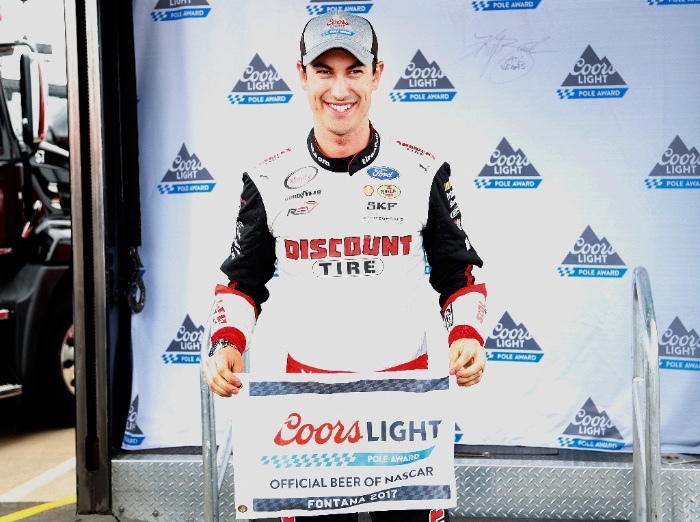 Logano, became the sixth Ford driver to win the season-opening non-points events. 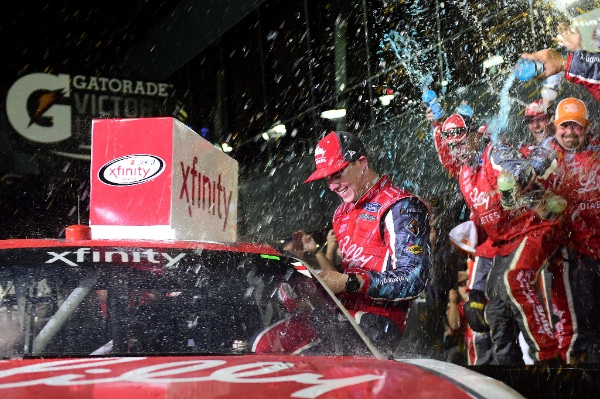 During the second week of Speedweeks, Roush Fenway Racing found its way to victory lane in the NASCAR Xfinity Series (NXS) with the No.16 Ryan Reed, winning his first race at the legendary speedway. 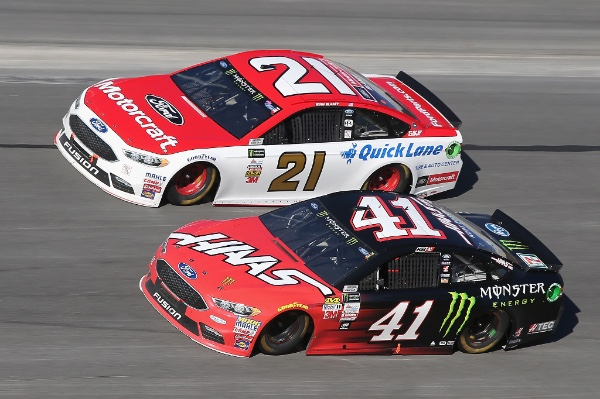 The Daytona 500 proved to be a drag race of horsepower between fellow Ford Performance teammates, Kurt Busch of Stewart-Haas Racing and Ryan Blaney of Wood Brothers Racing. Busch went on to win his first MENCS Daytona 500 and first for SHR under the Ford Blue Oval. 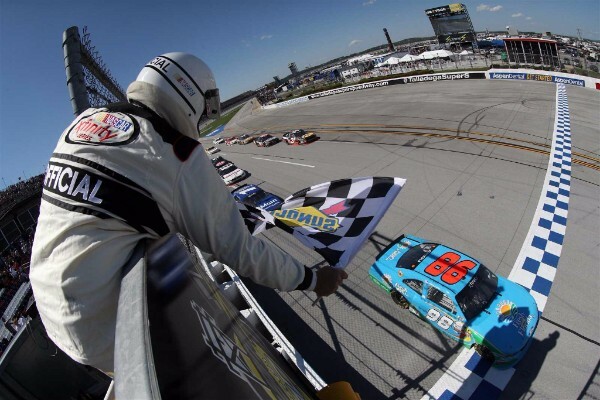 This also marked the fifth consecutive restrictor plate win for Ford Performance and Roush Yates Engines. The No. 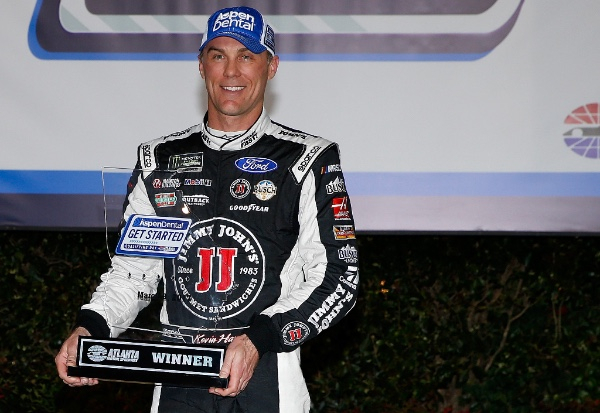 4, Kevin Harvick of SHR, captured his career 18th Cup pole and the first of the year for Ford Performance, while the number 2 deuce, Brad Keselowski from Team Penske achieved his first Cup win of the season at Atlanta Motor Speedway. During the West Coast swing at Las Vegas Motor Speedway, Logano drove the No. 12 Team Penske Ford Mustang to victory lane and achieved his 28th career NXS win. 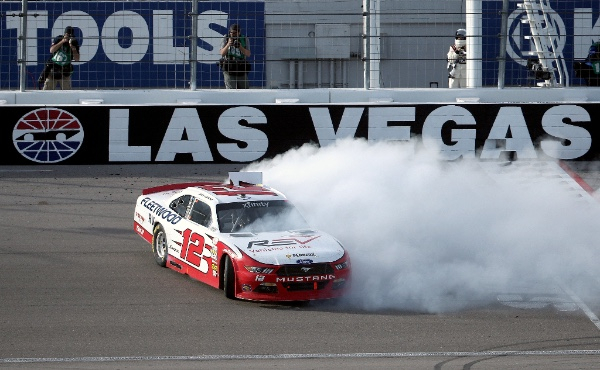 Team Penske teammate, Keselowski also found success in the dessert, capturing his 13th career Cup pole in Las Vegas. 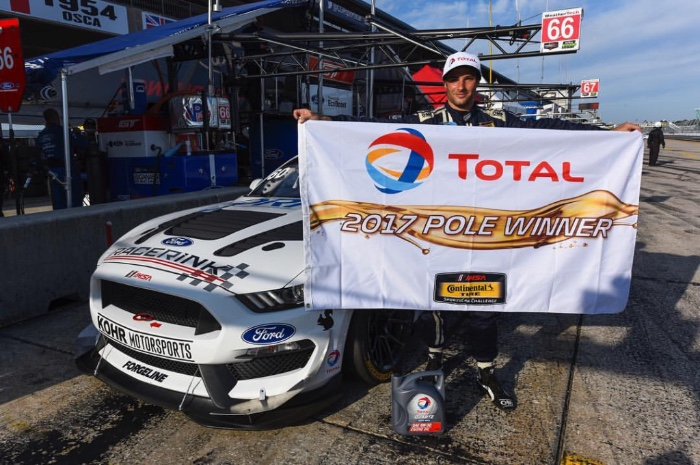 In Sebring, Florida the Ford Mustang GT4 took its first podium in the IMSA CTSCS. The No. 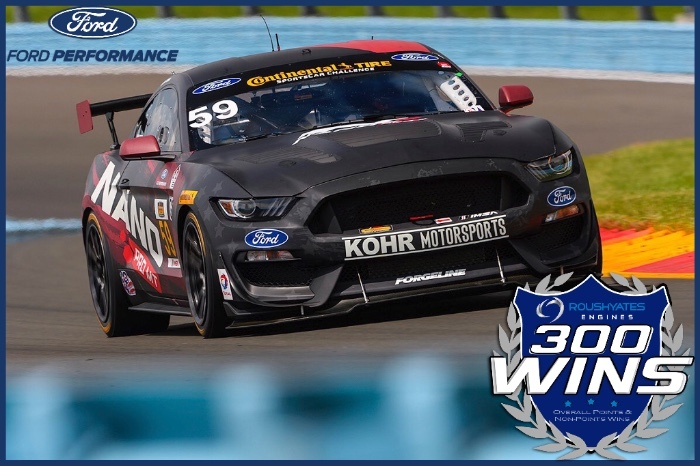 60 KohR Motorsports car, piloted by Jade Buford and Scott Maxwell started from the pole position and made history as they achieved the 50th Grand Sport class win for Ford Performance. From behind the wheel of the No. 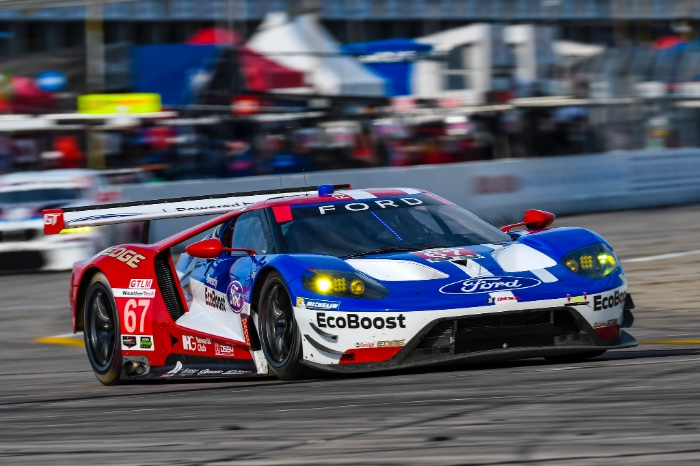 67 Ford GT, Ryan Briscoe followed up the Rolex 24 At Daytona pole, by earning the IMSA WeatherTech Sportscar Championship, GTLM pole at the Twelve Hours of Sebring. Logano added to his NASCAR pole count, winning poles at both Phoenix Raceway and at Auto Club Speedway in Fontana, California. 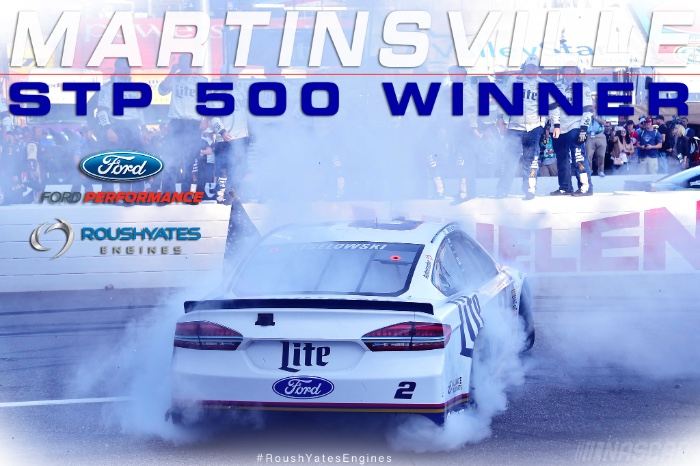 On Roger Penske’s 1000th NASCAR start, Keselowski brought home his second win of the season at Martinsville Speedway and marked the 56th victory of all-time for Team Penske and Ford. Harvick leveraged the horsepower of the Ford FR9 engine to collect his 19th career pole at Texas Motor Speedway. In Texas, driving Team Penske’s No. 12 car, Logano posted a speed of 192.768 mph in the final round of qualifying to earn his 33rd Xfinity career pole. 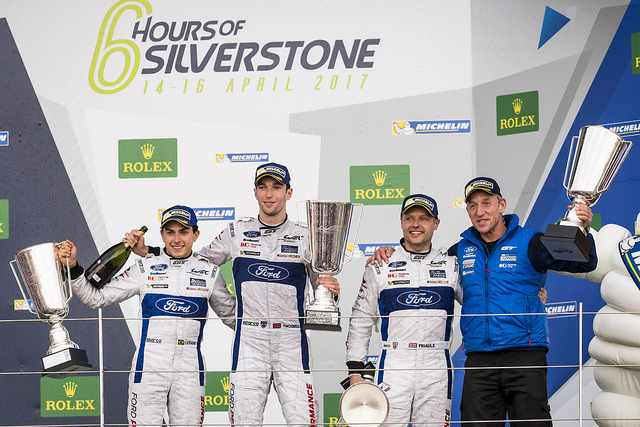 In April, the Ford Chip Ganassi Racing – UK sister-cars started the FIA World Endurance Championship Series (WEC) season by qualifying on the pole and ultimately capturing the win in the Six Hours of Silverstone. Harry Tincknell, with fellow drivers Andy Priaulx and new comer Pipo Derani took the checkered flag, in the No. 67 Ford GT to win the season opener. On Logano’s 300th NASCAR start, he captured his first 2017 Cup win at Richmond by beating fellow Team Penske teammate Keselowski to make it a 1-2 Ford finish. In Talladega, Aric Almirola captured his first 2017 Xfinity win of the season in the No. 98, Biagi DenBeste Ford Mustang. 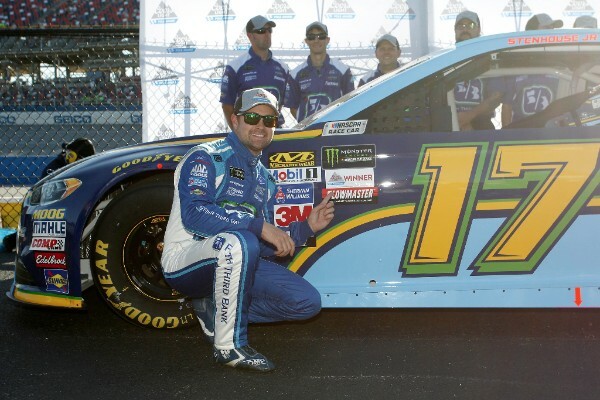 Ricky Stenhouse Jr. and Roush Fenway Racing made it a clean sweep at Talladega Superspeedway. He captured his first career Cup pole, at a speed of 191.547mph and first career Cup win. This Talladega win accounted for Jack Roush’s 324th overall NASCAR win. The No. 21 Wood Brothers’ Racing Ford Fusion captured the 6th Ford Performance Cup pole of the season at Kansas Motor Speedway with Blaney behind the wheel. Marking Blaney’s first career Cup pole. In Charlotte, Blaney carried this momentum, where he won Ford’s fourth Xfinity race of the year in the No. 12 Team Penske Ford Mustang. 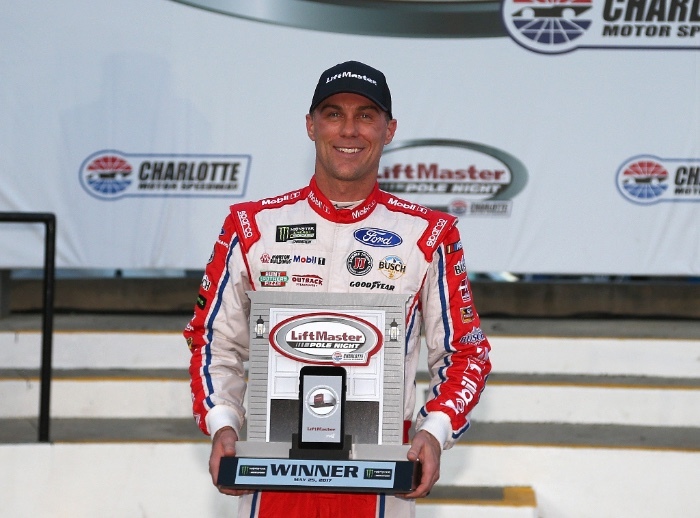 Charlotte Motor Speedway paid dividends for Stewart-Haas Racing, where Harvick captured his third pole of the year and Ford’s seventh over-all. 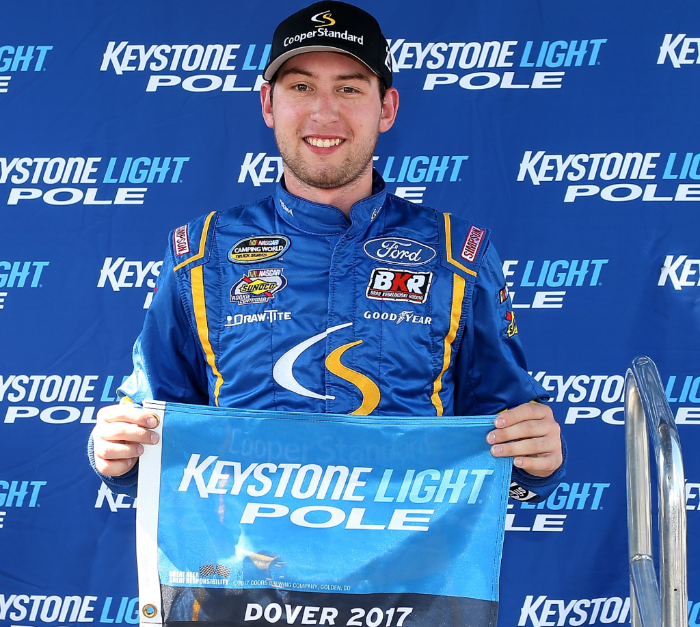 NASCAR Camping World Truck Series rookie, Chase Briscoe found success in Dover, as he drove the No. 29 Brad Keselowski Racing truck to his first pole in the series. 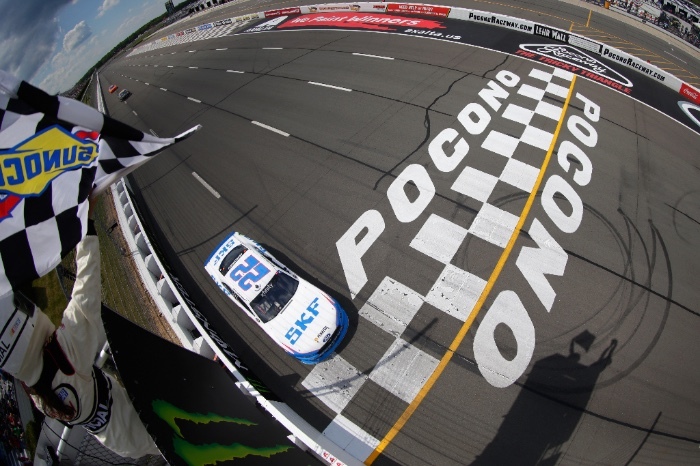 Ford Performance and Roush Yates Engines horsepower dominated Pocono as the hard charging Keselowski swept both stages of the Pocono Green 250 in the NXS on his way to making a last lap pass to take the No. 22 Discount Tire Ford Mustang back to victory lane for the first time in 2017. 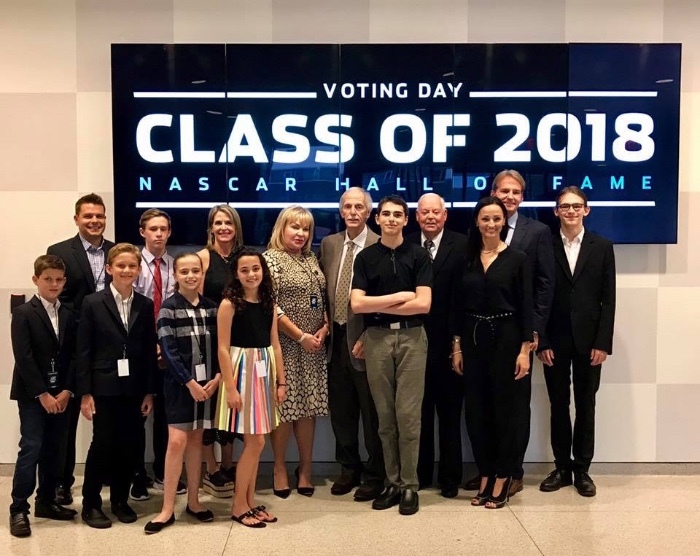 Young gun Blaney would make his own history at Pocono by winning his first ever career Cup race with the legendary Wood Brothers’ Racing team and the No. 21 Ford Fusion. 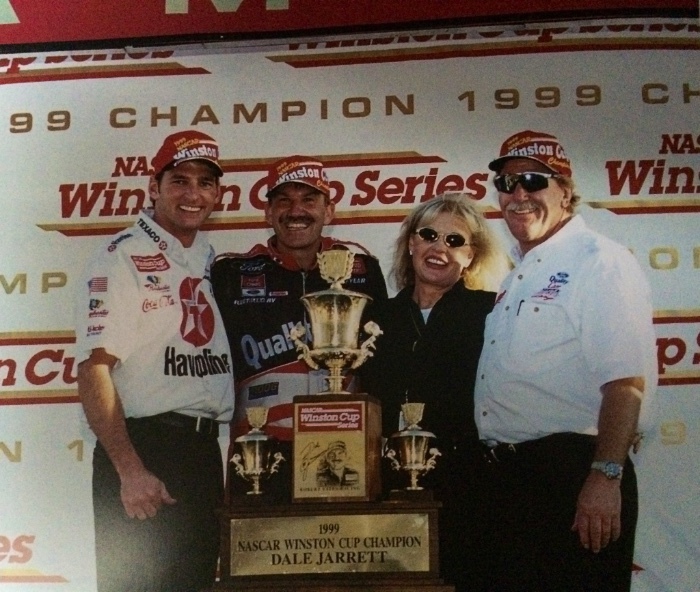 This marked the Wood Brother’s 99th overall NASCAR win. 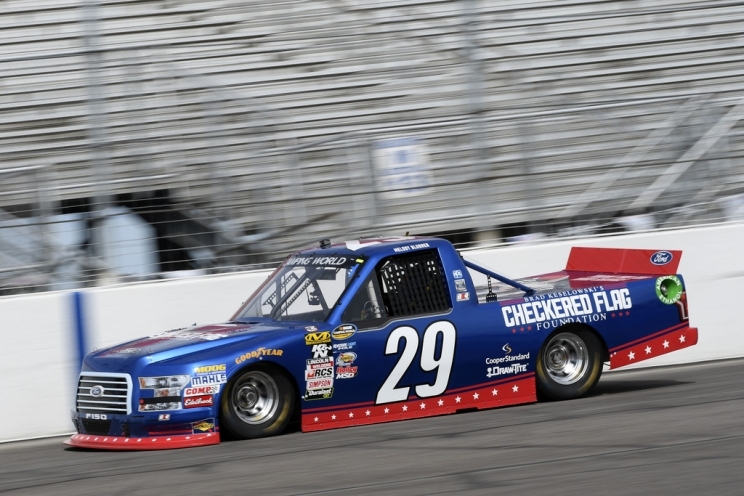 Chase Briscoe continued to rack up poles as he edged out John Hunter Nemechek by .020 of a second to win his second pole of the season at Gateway Motorsports Park. On the way to capturing his first win of the season, the No. 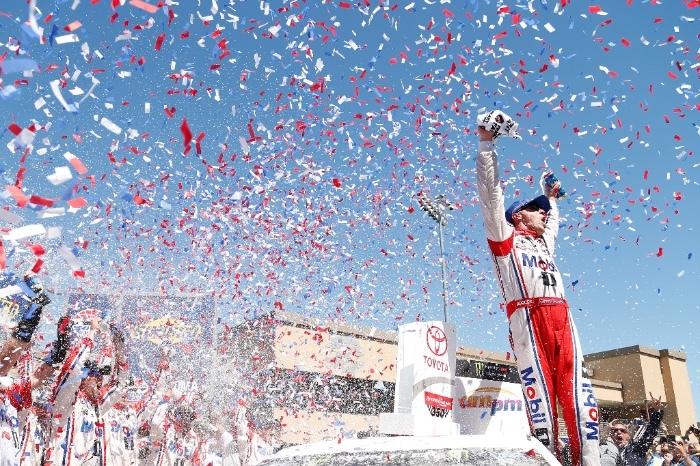 4 Harvick led a Ford 1-2-3 sweep at Sonoma Raceway. Harvick became the fifth Ford driver to secure a spot in the NASCAR play-offs, joining Busch, Keselowski, Stenhouse Jr., and Blaney. Joey Hand qualified the No.66 Ford GT on the pole for the Sahlen’s Six Hours of the Glen in thrilling qualifying session, making this the Ford GT’s second-consecutive GTLM pole at Watkins Glen International. 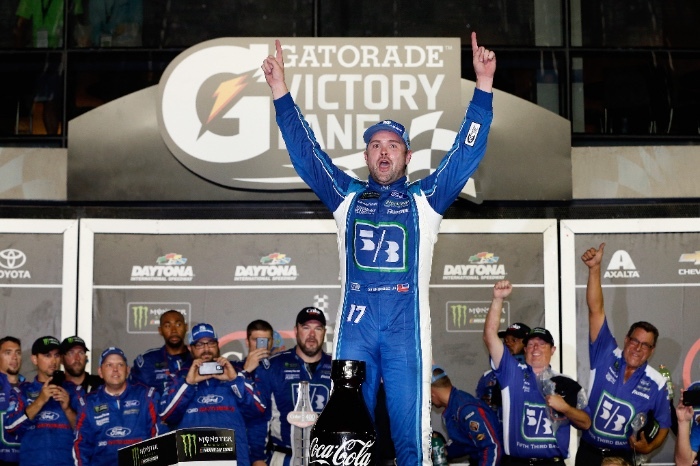 Ricky Stenhouse Jr. won the Coke Zero 400 at Daytona International Speedway and accomplished the sixth consecutive restrictor plate race win for Ford Performance and Roush Yates Engines. 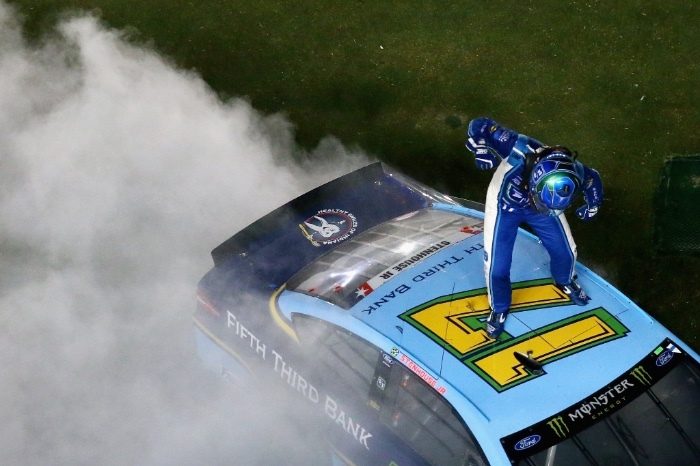 No manufacturer has dominated the restrictor-plate tracks of Daytona and Talladega more than Ford Performance, which has won 15 of the last 27 MENCS events at these two tracks. We will take this momentum into the second half of the year and stay focused on the mission. 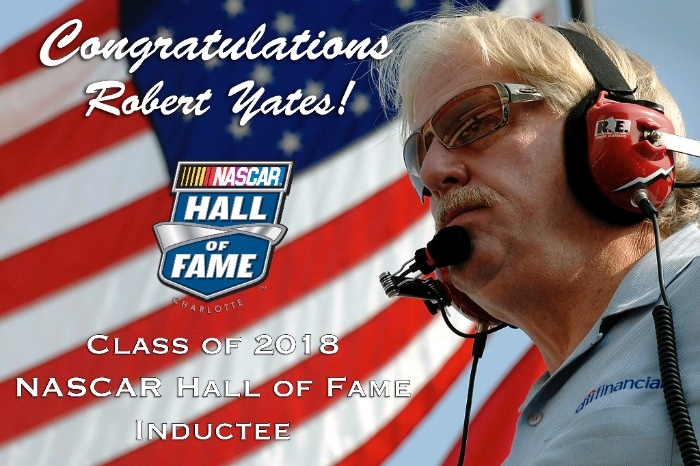 Robert Yates was recognized for his accomplishments, legendary career and contributions to the sport of NASCAR by being voted into the NASCAR Hall of Fame as part of the five-member Class of 2018. Yates took everything he learned as an engine builder and transitioned into a Champion Team Owner. Yates’ two car team proved to be one of the most invincible opponents in the NASCAR garage. Winning a total of 57 races and 48 pole positions. 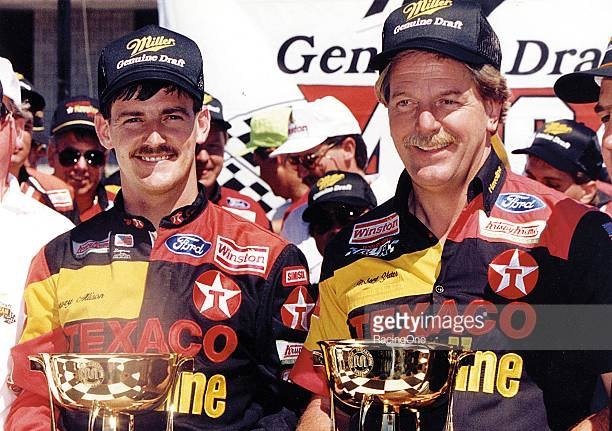 Robert Yates Racing provided championship race cars and engines for legendary drivers Davey Allison, Ernie Irvan, Rick Rudd, Elliott Sadler and David Gilland. He has proven that hard work, dedication and passion are the perfect formula for success and a legendary career. TITANS of CNC visited our facility to learn more about how we design, develop, and build high performance race winning engines with the help of CNC machining. MOORESVILLE, N.C. (July 25, 2017) – Team Penske announced today that the organization has reached an agreement with Brad Keselowski to remain with the team as the driver of the No. 2 Miller Lite Ford Fusion well into the future. The multi-year extension ensures that the 2012 Monster Energy NASCAR Cup Series (MENCS) Champion and 23-time MENCS race winner will continue to be an integral part of Team Penske – the only team he has driven for full-time over the course of his 10-year MENCS career. The announcement follows the news that No. 2 team crew chief, Paul Wolfe, has also agreed to a multi-year extension with Team Penske. Since joining Team Penske in 2009, Keselowski has earned 22 MENCS wins and the 2012 series championship while driving the iconic No. 2 Ford Fusion. 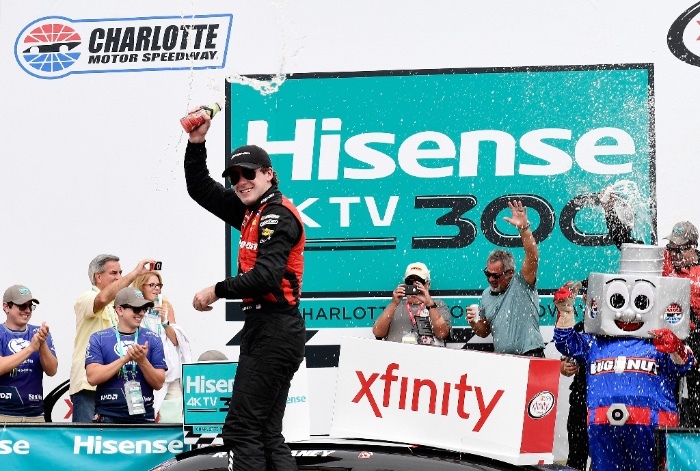 In addition, the Rochester Hills, Michigan native has scored 29 NASCAR XFINITY Series (NXS) victories, won the 2010 NXS Drivers’ championship and he’s been a part of three NXS Owners’ titles while driving the No. 22 Ford Mustang. Keselowski has produced two MENCS victories and one NXS win so far this season and has qualified for his sixth trip to the NASCAR Playoffs. Keselowski first came on board at Team Penske toward the end of the 2009 MENCS season and Wolfe joined him prior to the 2010 NXS campaign. The two promptly won the 2010 NXS Drivers’ championship with six wins and an NXS-record 26 top-five finishes. Wolfe then joined Keselowski on the No. 2 MENCS Ford and the duo earned their first win at Kansas Speedway in just their 13th series start together. 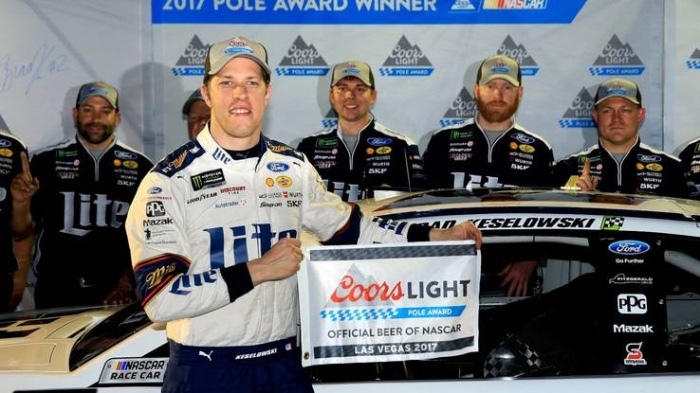 In their seven-plus MENCS seasons, Keselowski and Wolfe have become one of the premier driver-crew chief combinations in the sport and have earned six trips to the NASCAR Playoffs. Keselowski has recorded 51 wins while driving for Team Penske, making him the second-winningest driver in team history. He is just eight victories away from tying Team Penske Hall of Fame member, Mark Donohue, for the top honor. 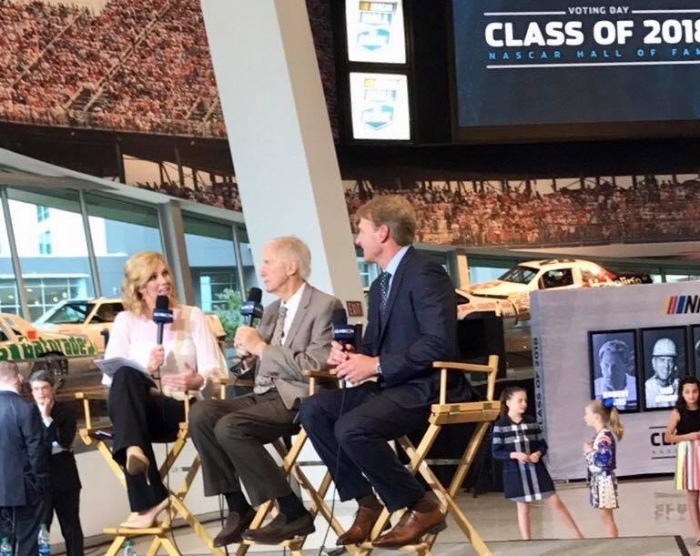 “Mark Donohue is the driver that Roger was able to build this team around over 50 years ago, a man who won our first NASCAR Cup Series race and our first Indianapolis 500. I am truly blessed to be close to tying his record for wins with Team Penske and this extension will allow me to place my name beside such a legendary driver,” added Keselowski. Keselowski continues to climb the ranks of NASCAR’s all-time greats. His 23 career MENCS victories tie him with Ricky Rudd for 33rd on the career wins list. With 35 career NXS victories, he ranks fifth in all-time series wins. Keselowski is also one of only four drivers to win both a MENCS championship and NXS title in their career. “We are extremely happy to secure Brad’s renewal with Team Penske. Brad is an integral part of our Ford NASCAR program, and we appreciate his leadership within the team and among the drivers in this sport. 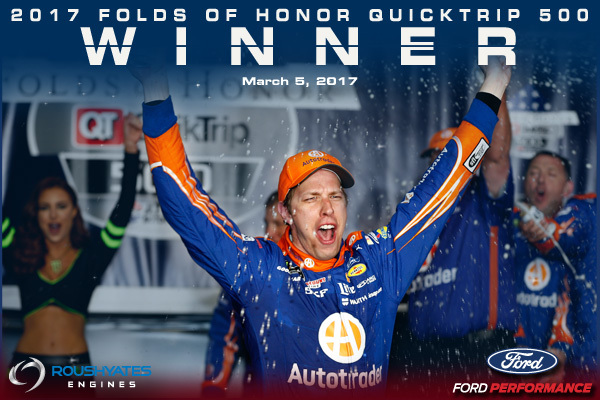 We look forward to helping him take Ford and Team Penske to victory lane many more times in the years ahead,” commented Dave Pericak, Global Director, Ford Performance. 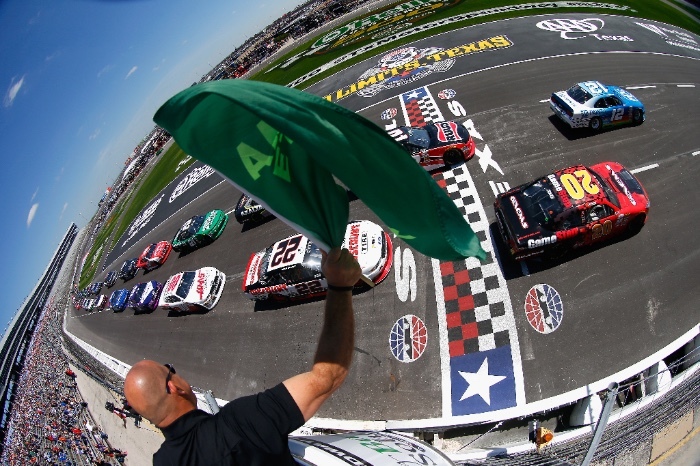 This weekend Monster Energy NASCAR Cup Series and Camping World Truck Series will visit Pocono Raceway, while the Xfinity Series runs in Iowa. 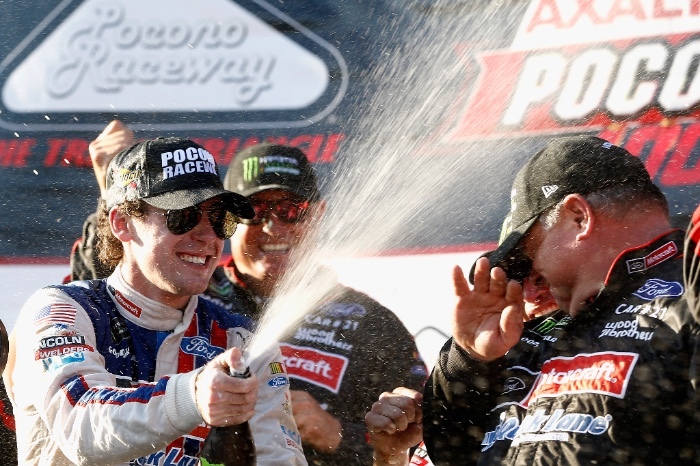 Ryan Blaney earned his first Monster Energy NASCAR Cup Series victory a few weeks ago at Pocono Raceway and will be looking to become the first driver since Dale Earnhardt Jr. in 2014 to pull off a season sweep. Blaney, who gave the Wood Brothers their 99th all-time series win, held off Kevin Harvick over the final seven laps to win the Pocono 400. MOORESVILLE, NC, July 26, 2017 – Team Penske announced today that Ryan Blaney will join the organization as a full-time driver in the Monster Energy NASCAR Cup Series (MENCS) beginning in 2018 as the team returns to a three-car operation in NASCAR’s premier series. The 23-year-old Blaney, who also signed a multi-year contract extension with the team, will pilot the No. 12 Ford Fusion, beginning with the annual non-points “Clash” event at Daytona International Speedway in February 2018. Blaney made his MENCS debut in 2014 for Team Penske and has driven for Wood Brothers Racing full-time the last two seasons. 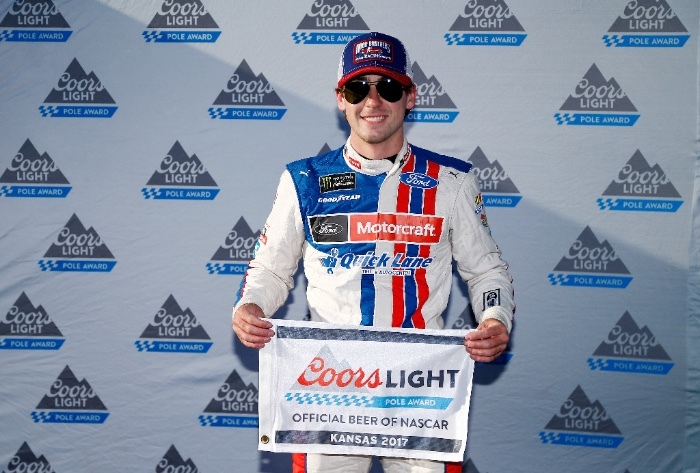 One of NASCAR’s rising “young guns,” Blaney earned his first-career Cup Series win earlier this season at Pocono Raceway, giving the Wood Brothers team its first MENCS win since the 2011 season. Blaney also scored his first Cup Series pole this season at Kansas Speedway. He finished second in the 2016 MENCS Rookie of the Year standings. Blaney has been a part of Team Penske since 2012 and has earned five NASCAR XFINITY Series wins for the team and was part of the No. 22 team’s three-straight NXS Owners’ Championships from 2013-2015. 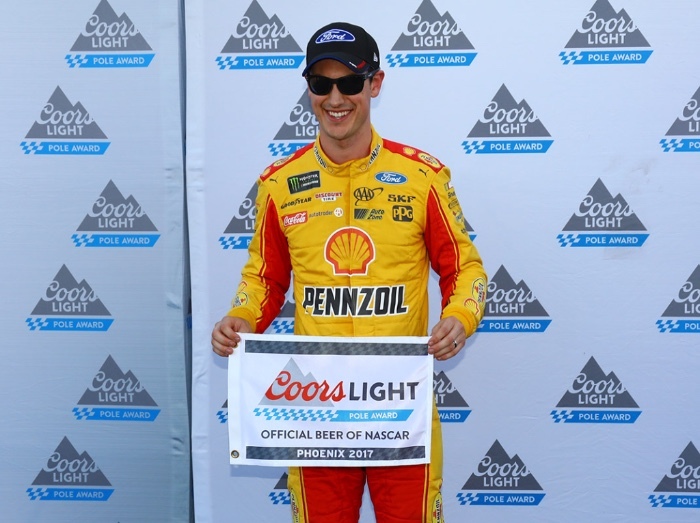 Earlier this season, Team Penske announced that it signed Joey Logano to a multi-year contract through the 2022 season and beyond. Just yesterday, the team announced it has come to terms with Brad Keselowski for a multi-year agreement, giving the organization a solid foundation for the future. While the No. 12 Ford Fusion has made a handful of starts in the Cup Series over the last few years, Team Penske has not competed as a full-time, three-car team since the 2010 season with Keselowski, Kurt Busch and Sam Hornish Jr. Despite the fact that the team has only run two full-time cars since the 2011 season, Team Penske has produced 40 MENCS victories, along with the 2012 NASCAR Cup Series title, and the 2015 Daytona 500 Championship. More details surrounding the No. 12 team, including sponsorship and crew chief, will be announced in the near future. STUART, VA – July 26, 2017 – Wood Brothers Racing, the oldest active NASCAR team and one of the winningest teams in series history, and veteran driver Paul Menard, will join forces for the 2018 Monster Energy NASCAR Cup Series (MENSC) season, the two parties announced today. The new partnership will see the team continue to compete full time for the coming seasons with Menard driving the legendary No. 21 Ford Fusion. Menards, the industry-leading home improvement store company, will sponsor the No. 21 Ford for 22 MENCS races. Additional sponsorship, including plans for long-time partner Motorcraft/Quick Lane, will be announced at a later date. 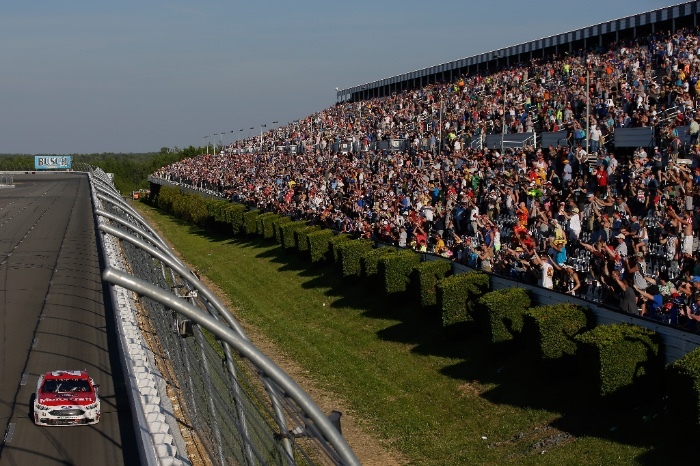 Over the course of its history, the Wood Brothers Racing team has amassed 99 MENCS victories, the most recent coming this season with current driver Ryan Blaney at Pocono Raceway. Legendary drivers such as AJ Foyt, David Pearson, Curtis Turner, Tiny Lund, Cale Yarborough, Neil Bonnett, Buddy Baker and Dale Jarrett have all earned victories for the team. 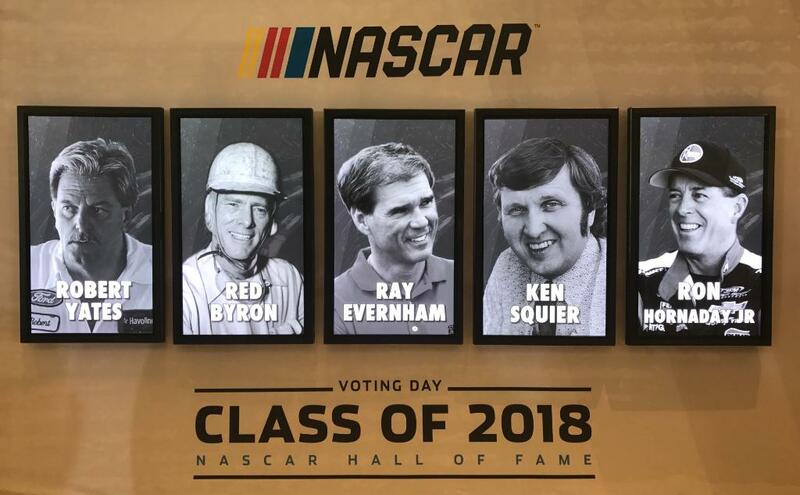 Both Glen and Leonard Wood have been inducted into the NASCAR Hall of Fame. 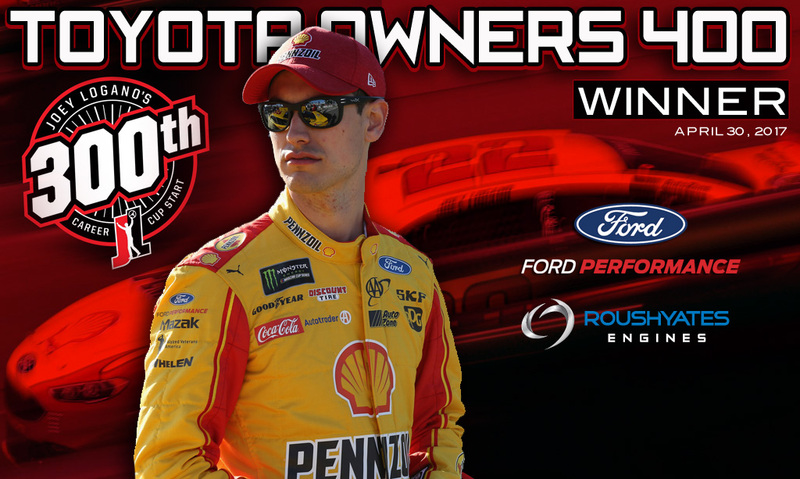 The team’s relationship with Roush Yates Engines and the technical partnership with fellow Ford Performance organization, Team Penske, will also continue in 2018. “We’re excited to welcome Paul back into the Ford fold and look forward to having him a part of the Wood Brothers team,” noted Dave Pericak, Global Director, Ford Performance. 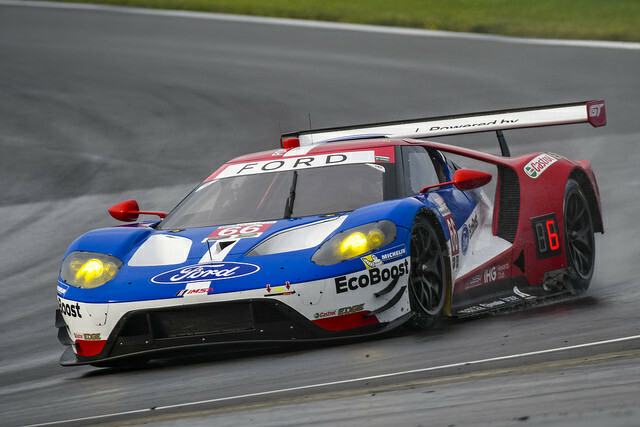 Ford Chip Ganassi Racing continues to sweep the summer stretch of DEKRA Green Awards, being recognized for the third consecutive race as the cleanest, fastest and most efficient car in the GT Le Mans (GTLM) field at the conclusion of the Northeast Grand Prix at Lime Rock Park. GTLM class teams competing in the IMSA WeatherTech SportsCar Championship must utilize alternative fuels such as ethanol or biodiesel. These alternative fuels are relevant to the world’s automotive manufacturers and energy companies as they develop transportation solutions for the future that are sustainable and have a low environmental impact. Additional factors established by the United States Department of Energy (DOE), the Environmental Protection Agency (EPA), and the Society of Automotive Engineers International (SAE) in conjunction with IMSA, are also taken into consideration to score each car. DEARBORN, Mich. – If any drivers from a Ford-backed NASCAR teams are competing for the Monster Energy Cup in Miami this fall, they can, in part, thank a new, more powerful spin torsional lab located on Ford’s campus. The project, which renovated and upgraded the previous spin torsional lab at the Advanced Engineering Center, was pulled ahead more than four months to make it available to Ford Performance’s three Cup series teams this season, rather than next. Ford executives and project team members gathered Tuesday, June 27 to unveil the High Capacity All-Wheel Drive Laboratory at the AEC. It is expected to be available for testing beginning in October, just weeks before the end of the Monster Energy Cup season. With the No. 14 Stewart-Haas Racing Ford Fusion strapped in, the new system was demonstrated during a single-lap simulation of Homestead-Miami Speedway, site of NASCAR’s championship race, where the car reached speeds of nearly 190 mph. Ford had just one championship contender in last season’s NASCAR finale, which concluded four playoff rounds, but hopes to have more challengers in the season’s final weeks this fall. Accelerating the spin torsional project schedule will give Ford Performance several weeks at the tail end of the schedule to incorporate their findings from the new testing. “We wanted to start having an influence now,” said Dave Payne, manager of Vehicle Development Operations. “That’s important because you have to win races and get points in order to qualify for the playoffs and the championship race. While the focus area of the new lab is on performance vehicles, the new technology will also be leveraged on Ford’s full product lineup. The new lab allows for testing of drive line components even without an entire vehicle present, simulating engines ranging from an I-4 to a V-8. It features seven hand-built dynamometers – four output dynamometers, which can simulate speeds up to 220 mph, and three input dynamometers. The new testing equipment also creates efficiencies in travel reduction, Payne noted. Rather than taking vehicles out to desert locales for their sandy conditions or wilderness environments for snow and ice, those variables can be replicated in the torsional lab. “That gives us a lot of efficiency instead of having to travel all over the world for these different kinds of weather conditions and control factors, you do it all right here in this cell,” he said. Planning for the lab began in 2014 and construction began in September of 2016. All of the building’s original equipment, which was nearly 25 years old, was replaced. Supporting infrastructure, such as chillers, water and cooling towers, were also replaced. Input from Ford Performance, NVH (noise vibration and harshness) and the All-Wheel Drive teams helped shape the facility’s capability, Danes noted. The facility will be a busy place once it is fully integrated into testing. Danes said the lab’s workload is expected to increase by 250 percent next year. Jack Roush was inducted into the Automotive Hall of Fame in Detroit, Michigan, in recognition of his outstanding contributions to the automotive industry and racing community. Jack is an icon in the motorsports industry and distinguished automotive entrepreneur. 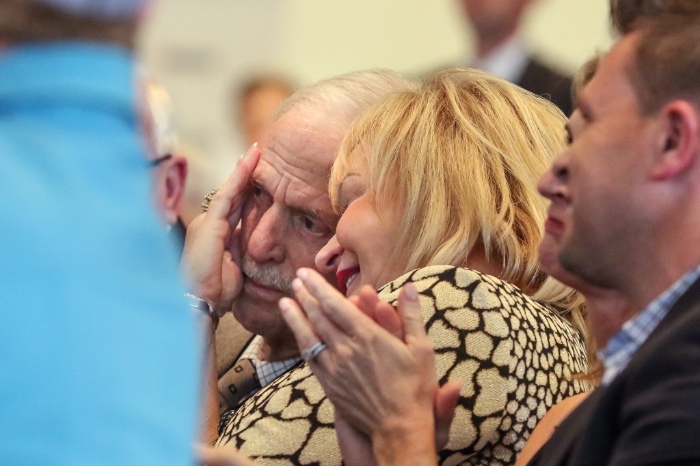 He’s chairman of Roush Enterprises, co-owner of Roush Fenway Racing and Roush Yates Engines. Getting his start in the auto industry in 1964 as an engine development engineer for Ford Motor Company is where his passion for racing started with the “Fastbacks”, who were running a drag race team at the time. In 1970, Roush formed his own drag race team with partner Wayne Gapp. In 1976, Roush Performance Engineering was established, which was focused on supplying race engines and parts for a variety of motorsports. His passion for racing and competition led Roush to ask Ford Motor Company to develop vehicles for the SCCA Trans-Am and IMSA Camel GT race series, where he won an unprecedented 119 races and 24 national championships between the two series. In 1988, he expanded his love of racing to NASCAR. 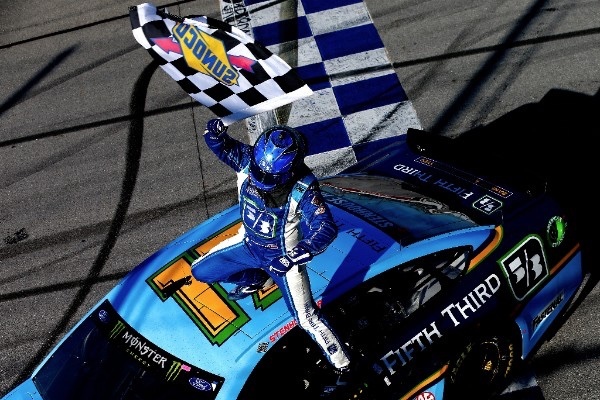 To date, Roush Fenway Racing has claimed two Monster Energy NASCAR Cup Series Championships (2003 – Matt Kenseth and 2004 – Kurt Busch), four NASCAR Xfinity Championships and one Camping World Truck Series Championship. Roush and Robert Yates, long-time NASCAR revivals would find there was strength in numbers and combined their passion for creating and developing legendary horsepower and world-class race engines when they formed Roush Yates Engines in 2003 to become the official NASCAR engine provider for Ford Performance starting in the 2004 season. 2017 marks his 30th year of NASCAR competition, Roush Fenway stands as the winningest team in NASCAR history, taking home 324 wins across the three major NASCAR series. In all, his race teams have won more than 400 races and 30 championships, while Roush Enterprises has become a major provider of engineering and product development services for the auto industry.